WINCHENDON - Helen J. (Dunton) Finch, 84, of Winchendon passed away January 21, 2019. She was born in Fitzwilliam, NH October 25, 1934, the daughter of the late Arthur W. Dunton and Elizabeth (Borey) Dunton and one of 13 children. Helen held jobs in a Fitzwilliam shoe shop and New Hampshire Ball Bearing, but her favorite title was “homemaker.’ First and foremost, she was a loving wife and mother. Helen loved children and enjoyed having a houseful. She loved helping others and spent an immeasurable amount of her time doing so. While volunteering at the former Pleasant View Nursing home, Helen helped enrich the lives of many residents by bringing them treats, helping with activities and sharing conversation. Helen spent countless hours knitting all kinds of things from a special sweater or “Gram Blankets” to mittens, socks, slippers, dish cloths and baby clothes for her family as well as those in need. 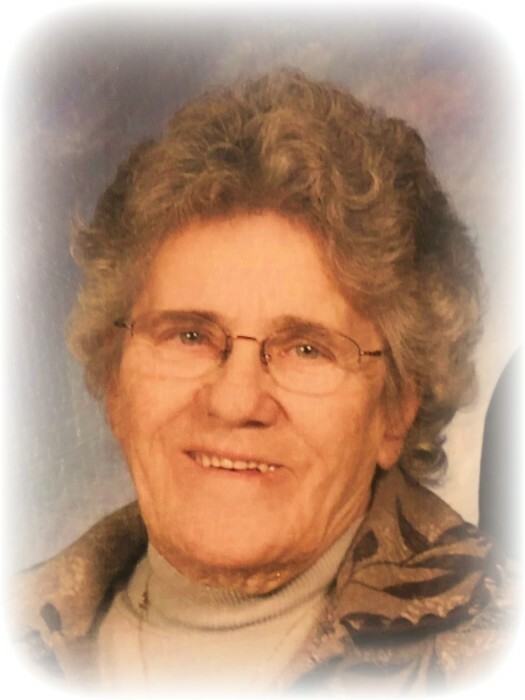 She enjoyed summer vacations at “The Point” in Maine, on Campobello Island N.B and the camp in Wolcott, VT. Helen also loved tending her vegetable and flower gardens and having family and friends gathered around for the holidays and cookouts at Pool Pond. She had a way of making each person feel special and valued just for who they are. Helen leaves her loving husband of 59 years, Henry Finch, her children, Ruby Moore and her husband Mikey, Hope Finch, Heidi Aukstikalnis and her husband Steve, Stan Finch and his wife Marie, Tyson Finch and his significant other Sammy, and Then Tran and his wife Mai, eight grandchildren, Mitchell Menard, Marcy Menard and her significant other Jay, David Aukstikalnis, Nghia, Thanh, Daniel and Donald Tran and Linda Parks, great grandchildren, Farrah Forman and Courtney, Lily, Kara and Kaylee Tran. She is also survived by four sisters, Ann Dunton, Alice Jacobs, Betty Kuchta and Vina Carter and her husband Gregg as well as many nieces, nephews and very special friends. Helen is predeceased by two daughters, Joan Marie and Joanie Jean, one grandson, Jonathan Aukstikalnis, six brothers and two sisters. Calling hours will be held Saturday, February 2, 2019 from 10:00 A.M. to 12:00 P.M., with funeral services immediately following at 12:00 P.M. in Stone-Ladeau Funeral Home, 343 Central St., Winchendon, with the Rev. F. Calvin Miller officiating.